An Illinois man has been sentenced to two years in prison for filling fake prescriptions at pharmacies in Delaware County. 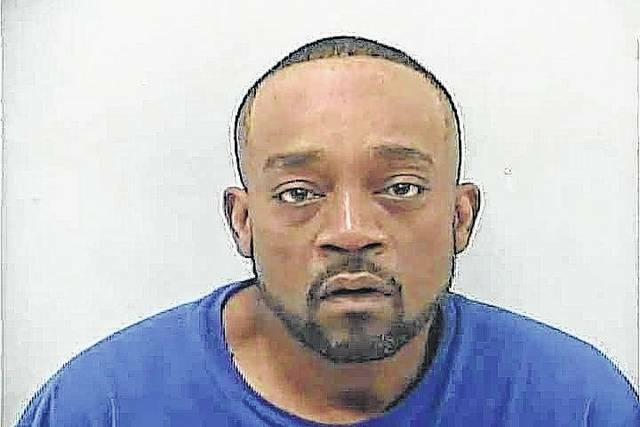 Ernest Grady, 44, of Markham, Illinois, appeared in Delaware County Common Pleas Court Monday morning to be sentenced for two separate cases involving charges of deception to obtain a dangerous drug. Prosecutors report that investigators discovered Grady had visited several Delaware County pharmacies seeking Amoxicillin (used to treat infection) and Promethazine with Codeine, a drug similar to prescription strength cough syrup. Grady was in court to be sentenced for four counts of deception to obtain a dangerous drug, three fourth-degree felonies and one fifth-degree felony; one count of forgery, a fifth-degree felony; and possession of drugs, a fourth-degree felony. At the hearing, Grady said he accepted full responsibility for his conduct and said he is trying to clean up his act so he can go back to Illinois and be a better father. Before determining a sentence, Delaware County Common Pleas Court Judge David Gormley reviewed the facts of the case and reported that Grady stated he was filling the fake prescriptions to support his drug habit. Gormley said he felt a prison term was an appropriate sentence for Grady and sentenced him to 24 months in prison for his charges. Gormley said that after Grady’s release he will be subject to three years of post-release control. Gormley credited 92 days for the time Grady spent in the Delaware County Jail since the case began. Grady remained in the Delaware County Jail Tuesday awaiting transportation to prison.